It’s that time again. 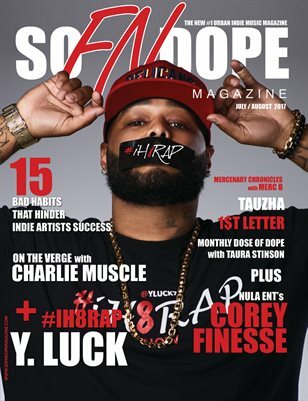 Time to check out yet another dope issue of So FN Dope Magazine. This issue is full of incredible new talent from all over the country. We were able to tap all four corners of US; from Brooklyn, Chicago, Sacramento, Oakland, Mississippi and even all the way back down to the bottom of the map, with New Orleans. We are pleased to present to you a diverse selection of artists from various backgrounds each with their own interesting stories to tell. We hope you enjoy the latest from So FN Dope Magazine.